A wide range of elastomers is available to suit most service conditions. AVAILABLE MATERIAL OF CONSTRUCTION –CAST IRON, CAST STEEL – WCB, STAINLESS STEEL, ALUMINIUM. 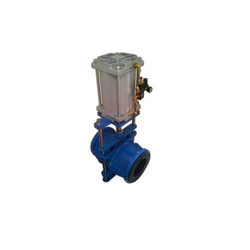 Looking for Pneumatic Cylinder Operated Close Body Pinch Valve ?